A timely revisiting of this moving, Oscar-nominated World War I drama, set in the treacherous, hand-dug trenches, from which the bloodiest of battles took place. 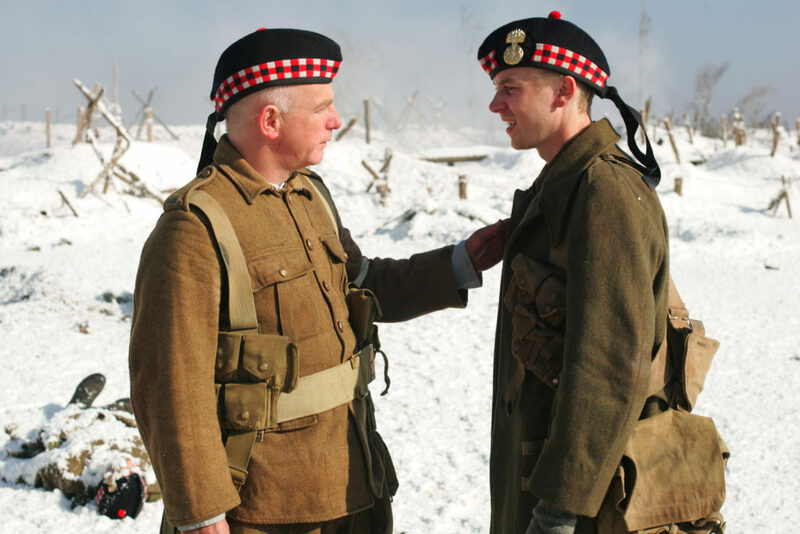 On Christmas Eve 1914, in defiance of their superiors, a number of German, Scots and French soldiers break off from fighting to first sing, then play a game of football in no mans’ land. For a brief moment, hostilities are suspended as the three armies join together in a willingness to step away from the carnage and rejoice in one another’s humanity. This screening is presented by the French and German Embassies in Ireland, in partnership with the IFI, as part of the commemorations of the Centenary of World War I. The screening will be preceded with remarks from H.E. Mrs. Deike Potzel, Ambassador of Germany, and H.E. Mr. Stéphane Crouzat, Ambassador of France to Ireland.